Because both are ‘Ports’ and both are Islay bred.. Nose: It’s a clean style of Port Ellen, with a big gritty peat and pristine coastal elements. This one has a medicinal greenness to it that speaks of herbal tinctures, wintergreen and menthol rubbing oils. Hot flints, rock salt. Lots of rubbed suede and a wet leather jacket ripeness to it. Great clean sharpness to its profile. Superbly martime in a way that reminds me of 70s Ardbeg – also not a style found in the south shore nowadays. Palate: Onslaught of sweet rooty peat freshly dug, and boiling surf, both clean earth and flashes of chipped flint and sparks of newly lit bush fires. Salty, hot kelp. Altogether one of the sharper more chiselled sort of coastal Port Ellen with a dollop of something funky, I cannot help but imagine soaked leather starting to turn, or a little bit of farmyard. Finish: Long, salty sharp and dry. White smoke, clean earthy peat. Great precision. Developing lots of salt. Nose: Immensely powerful, were all these filled into barrels unreduced? 600 hp under the foot. Similar in the sense that both these represent the clean end of heavy peat, but where the Port Ellen tiptoed on the knife edge, this one is all about immense but clean peat. It’s a dried leaves and mulch kind of peat, with thick oily potency in the phenols – and each whiff smells like a hammer blow waiting to be struck. Lots of dried branches, thin dried sap, tobacco, dried out clean earth on spades. Though it does miss out on the pristine maritime aspect I like so much. Palate: Neat, and despite the immensity, the poise of the whisky is beyond reproach, but it needs water. With Water: Still excellent. Immense peaty, sooty, liquefied charred firewood sort of a whisky, with a thick oily weight. Great clean-earth phenols and roasty-ness, dried bark tea. Hot pans and seared meat. Tons of dried leaves, and what must be pure powdered quinine. Great but much simpler than the more expressive and layered Port Ellen. Finish: Long, oily, earthy, full of dried bark. No doubt still an outstanding whisky. 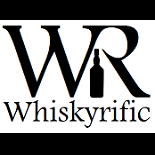 This entry was posted on September 2, 2018 by Whiskyrific in Port Charlotte, Port Ellen and tagged Port Charlotte, Port Ellen.